Rose opened her YouTube account in December 2006 during her Christmas break from university. She posted videos singing various cover songs and in a month had a record number of subscriptions for a musician. In May 2009, she wrote and recorded the song “Let Go”, selling it on iTunes in Portugal, where it became the best selling download, and got to number 2 on the Portuguese charts. 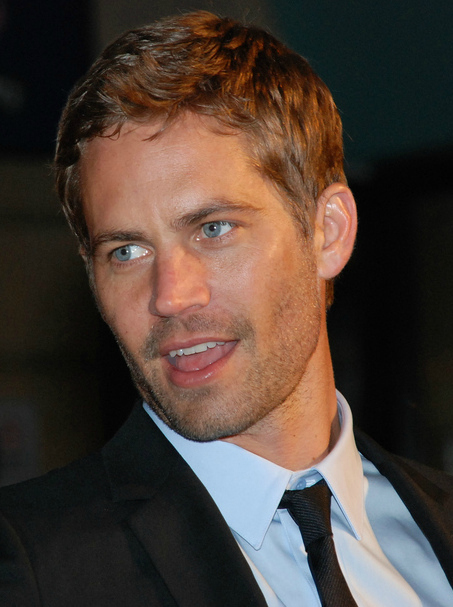 Career: In 2001, Walker became famous when he was with actor Vin Diesel in the film The Fast and the Furious, the first film in the franchise. He was also in the sequel in 2003 2 Fast 2 Furious. He continued his career in Joy Ride (2001), Into the Blue (2005), and Timeline (2003). Liked: acting, playing football, surfing and being with friends and family. About his death: On November 30, 2013, at about 3:30 p.m., Paul Walker and Roger Rodas, 38, had a fatal car accident in California. Paul’s friend was driving at the time at an excessive speed but they didn’t have alcohol or drugs in their bodies. David Beckam is English and he was a very famous football player. He was in various teams like: Manchester United, Real Madrid, Paris Saint Germain, LA Galaxy, and AC Milan. He was an international player for England. On 7 December 1994, Beckham was in his first UEFA Champion league game and he was excellent because they won the match. My name is Marta. I like cats and dogs. I don’t like school food and some subjects, and nuns.I don’t like studying at the weekend. My name is Daniela. I’m 13 years old. I like the rainbow because it is very cheerful and colourful. I have a cat called Tucha. I have a brother called Daniel. My nickname is Dani. My favourite color is blue because it is happy. I love my mother, my father and my brother. I like painting. My favorite activity is running and my favorite subject is history. I love to read and watch TV. My name is Vanessa. I’m 13 years old.I love sports,music.. I have a brother called Ivan. Hi! My name is Filipa, I’m 13 years old and I live in Braga. I’m in International House, in JR5. I love music and I play saxophone. I like playing badminton. My favorite football team is SCBraga. I love eating burgers in McDonald’s. I’ve two cats and I love them. My favorite subject is Maths. Hi! My name is Bárbara. I’m 12 years old and I live in Braga. I’m in International House, in J5. I like listening to music but I haven’t got a favorite music.I like dogs, but small dogs. My grandmother has got a dog and when I go to her house I play with her dog. I like the beach. Last summer I went to the beach, in Algarve. I like painting pictures. In the school I have one class when I paint and draw.I like running. My mum was an olympic atlhete, and now I run in S.C.B.In the future I want be an athlete. hi. My name is Beatriz and i’m 13 years old. I have 1 brother. He is 37 years old. I’m Portuguese. My favorite sport is football. I have a nephew. He is 8 years old. My favorite band is One Direction ( I’m a directioner about 4 years) but I like very much 5SOS, Justin Bieber, Jason Derulo, Ed Sheeran and Vampire. I like playing computer very much but i prefer listenIng to music *-* <3 :3 (: My favorite music is They don’t know about us, unica mulher and all the stars. I love taking selfies. Hi there. My name is Diana so my name is beauty. I’m 12 years old. I love One Direction. I haven’t got brothers or sisters. I love meeting my friends, listening to music. My favorite music is STAY WITH ME and curtiçao <3 . I like watching films and dancing. :3 I love taking selfies with my friends. Hello my name is Carolina. I am 12 years old.I think I am a funny person. I’m from Braga and I’m Portuguese ! I live with my parents.My brother Dinis is studying in Lisbon in the National Conservatory. I’m in the school André Soares. I play violin in the Company of music. Goodbye! Hello my name is Andreia. I’m twelve years old.I think I’m a confident person and I am a funny person… I’m from Braga and I’m Portuguese. I love my city and my friends. I studying in André Soares where I have a lot of my friends. I don’t have any pets in my house but I love them. Bye, See you later. Hi! I’m Margarida and I’m 13 years old. I love reading. My favorite books are “The hunger games” trilogy, ” The fault in our stars”, ” If I stay”, ” Looking for Alaska” and “Harry Potter” saga. My favorite band is One Direction but I like Ed Sheeran, OneRepublic , Arctic Monkeys… I love the Magcon Boys. My favorite color is blue because it reminds me of the ocean and the sky. It´s a very peaceful color. I really like wearing jeans ’cause they’re very comfortable and they look great with everything. Hi people! My name is Adriana and I’m 13 . I love watching WWE and I like Hawaii Special Force. My favorite animal is dog but I like sharks too. My favorite color is blue because it reminds me of the ocean and the waves. I would like to travel to Mexico. I like to read science fiction/ mythical creatures books. I don’t believe in the destiny and when I grow up I want to be a cop because I like guns and helping people. Hello my name is Gonçalo, I’ m 13 years old and I’ m in juniors 5.I like to see different youtubers and I love the books of the hunger games trilogy. My favourite colour is orange and I love London. Hello, my name is Diogo, I’m 12 years old and I´m in Juniors 5 . I support Benfica. My favourite book is Harry Potter. My favourite tv show is the Simpsons. I have a hamster and his name is Bolinha. My name is Samuel, I´m 13 years old an I´m in juniors 5.In the week I play 5-a-side football in Gualtar. I don´t like reading books because it’s boring. I hate school food.